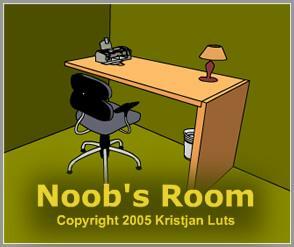 Linked through Wonderland, found Jay Bibby’s excellent blog, and this cool game “Noob’s Room”. It’s basically a little flash game, a mini adventure game where you’re just trying to get out of the room you’re trapped in. Apparently it’s a little subgenre of flash games. So cool! wtf this is pro, this is my room!